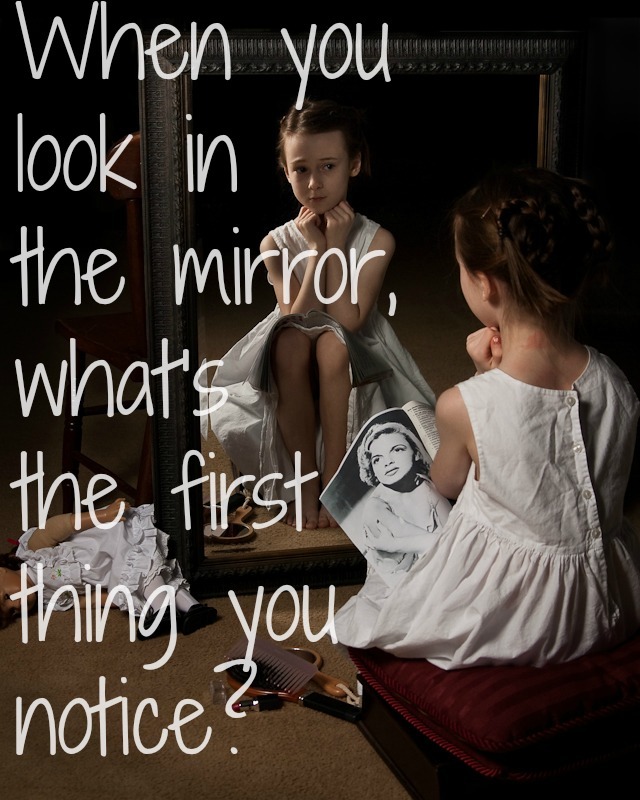 When you look in the mirror, what’s the first thing you notice? Something you LOVE or HATE about your body? Since we usually criticize our bodies, Studio 5’s Brooke Walker has issued a Body Love Challenge for the month of November. Let’s take the challenge together! So, what do I love about my body? I love my eyes. Not just because they’re blue, but because they allow me to see my daughter’s beautiful smile, my husband’s handsome face, and all the beautiful and vibrant colors on this earth God created for us. Now, it’s your turn. Take the body love challenge. What do you LOVE about your body? Also, head over to Studio 5. They are featuring pictures from their Instagram and Facebook accounts. Enter and you may see your picture featured! I’ll agree with you – my eyes are pretty fabulous. They’re hazel, so a little green and a little brown and I think they’re pretty amazing. Thanks for sharing this challenge – heaven knows we all need to be a little nice to ourselves! I’m a fan of my eyes as well. This is awesome! I hadn’t heard about this before. I just heard about it last week and loved the idea, Britney! It such a great idea for us to take some time and acknowledge what we like about ourselves. I love your smile and dimples too, Yvonne! I was blessed with some pretty rad, naturally occurring hair genes. And thank goodness because I was not blessed with hair-do skills!! You do have fabulous hair, Briton! I love my biceps 🙂 But you already know that! ha! Hahaha… you know it, Amber! I just love this campaign that studio 5 is running!! I love my hands. They have gotten me far – years of piano, drawing and painting, caring for my once-baby, cooking and baking, writing. I don’t know what I would do without them! I will be posting my picture later this week when my new phone/camera gets here! Thank goodness for our hands, Holly! Thanks for sharing your great answer and perspective. Thank you for taking the body love challenge with me, Heather! I appreciate and love my legs for those reasons too.